As with most delicious dishes, I prefer well-executed simplicity. From my experience with running a healthcare software company and working as a hospital-based physician, the following simple ingredients should make for a decent health innovation incubator: Clinician innovators + Local sandbox + External content experts. Clinician-innovators should have two basic skill sets which are apparent in the name. A clinician could be any clinical care provider that has their finger on the pulse of healthcare delivery. This could be an RN, NP, PA, MD/DO, PhD, PsyD, PharmD, etc. As long as that clinician sees patients with some regularity, they would bring up-to-date clinical insights to the value ideation process. An innovator would ideally have experience building a product or service that creates social and ideally commercial value. A “failed” entrepreneur is a great example because they’ve learned the ropes of building a company and they don’t have to repeat quite as many mistakes on the second attempt. An MBA should not be a prerequisite because on the ground innovation experience can often be more formative than 2 years of didactic training and networking (drinking games). The clinician-innovator must have the majority of their time protected to engage in the building the innovation, with a small fraction of that time allotted for ongoing clinical practice to stay current on care delivery pain points. The clinician innovator should also receive enough pay to meet their basic needs. They don’t need to get rich while in the incubator. But they need to be reimbursed sufficiently to not be distracted by the need to consult or moonlight to live comfortably. Finally, this position would be optimal for a clinician-innovator that is early-mid career and post-residency training. The timing would be similar to fellowship training in the typical career trajectory of a clinician seeking subspecialty training. Hence, I would propose we call this position a Clinical Innovation Fellow. The next element of building an innovation incubator within the walls of a hospital is the local sandbox. The entrepreneur would have access to learn the local patients’ and providers’ pain points. And more importantly, the clinical innovation fellow could easily test their proposed solutions to those patients’ and providers’ problems. The fellow would have access to local content experts within the host department. And, there would be a multidisciplinary community of academic researchers accessible for guidance and diverse perspectives. To ensure a balance between serving the local community and scaling to global solutions, the following elements should be incorporated into the incubator: 1) the tool/intervention is patient-centric, 2) a feedback loop exists to patients, and 3) the intervention is outcomes focused. External content experts would enable the ideas generated and tested in the local sandbox to expand beyond the walls of the host institutions. External experts could be developers, designers, and data architects. They could be consultants or advisors, paid or unpaid. The could temporarily or permanently be made internal to the incubator over time once sufficient need and value was identified. External content experts could be think tanks that provide guidance on specific ares of expertise like readmissions, or service delivery models, or reimbursement mechanisms. In addition to providing basic content, they could serve as connectors to a broader customer based. This would be particularly relevant to emerging technologies that stand to benefit payers or pharma companies. External experts could come in the form of legal counsel, startup guidance, or fundraising mentorship. Law firms could provide pointers on the regulatory implications of an innovation being built. Startup advisors could reinforce the basic principles of lean development. Investors could teach the value of a good one-liner, executive summary, and pitch deck. With these basic elements, a hospital-based incubator can create value to not only the target customer base, but also to the fellow, the host institution, and the external partners. The foundation of building a successful business is identifying the solution that solves someone’s problem. When that solution is a game or a restaurant app, testing for value has it’s own challenges, but at least the entrepreneur can go to a coffee shop and just ask random people if they like the idea. Although that entrepreneur may be faced with a few reflexive “no thank you’s” and perhaps some cold shoulders, eventually, someone will likely take a few minutes away from checking Facebook to give feedback on their app idea. Testing an idea in the healthcare space tends to be more difficult than just randomly approaching people in a coffee shop unless it was a coffee shop exclusively serving hospital CIOs, insurance company CFOs, pharmacy regional sales managers, or intubated patients. Additionally, health systems and payers in particular, are very risk averse, making them even more difficult to convince to give an unproven intervention a try. So testing for healthcare market validation is an extremely challenging process, and this doesn't even take into account the regulatory challenges associated with FDA approval. Fortunately, there is a rapidly growing culture of health-related incubators that are trying to address this problem. The incubator invites a select set of entrepreneurs to receive mentorship from health experts to facilitate the creation of the next big health app. As a participant in one of the premier health IT incubators, Rock Health, I have seen first hand the benefits and limitations of such an approach to health care innovation. I am very grateful for my experience at Rock Health and I believe their recipe will produce successful healthcare companies. But the mix of heavy IT and startup guidance with a dash of healthcare mentorship makes for an overly techy innovation gumbo that hasn't been adequately taste-tested against the sophisticated palate of the health system consumer. I propose inverting the recipe to have more of a healthcare base with accents of tech and startup mentorship. Putting aside metaphors, I propose building an incubator within the walls of a hospital and importing the tech and startup expertise. Two clear benefits arise from this approach: 1) the target market of patients, providers, and payers is accessible at the entrepreneur's fingertips; and 2) it’s easier to teach a clinician to be an entrepreneur that it is to teach an entrepreneur to be a clinician. The subsequent series of posts will elaborate on the mechanics of building such an incubator, the value that it may provide, it’s relationship to the existing academic culture of hospitals, and the deliverables that could be expected. The medical community has come a long way in improving protection of patient privacy and basic human rights in it's efforts to discover new diagnostics and therapies through clinical research. One of the mainstays of modern clinical research is the Institutional Review Board (IRB). The IRB vets research proposals to ensure that it is ethical and adequately protects research subjects from undue harm. The IRB can also serve to drastically slow down the process of quick testing of interventions. In fact, IRB approval can take anywhere from weeks to months and the cost of IRB approval from a time and cash perspective may preclude innovators from even testing their idea. IRB review is a necessary evil and it is a net good for patient care. But it doesn't have to altogether stifle lean testing. The following approach can expedite IRB review of a quick test for value generation of an intervention and lead to faster realization of problem-solution fit within the hospital or healthcare setting. “We are applying for IRB exempt status for the evaluation of the intervention at hand. The intervention is part of routine operations. The data is not currently intended for use for research purposes but rather for quality improvement. If and when the data will be used for publication purposes, the IRB will be consulted and all personal health information will be deidentified. Although we do not currently intend to publish this data for research purposes, we would like to give you a brief snapshot of the intervention so you are aware of it: [describe intervention in very loose terms]." This language can help you breeze through the IRB in a few weeks and get to the clinical minimal viable product with minimal friction. If the data from the intervention show promise and a larger scale trial is needed for further validation, then further IRB review may be warranted. But until small-scale, qualitative value is demonstrated, applying for full IRB approval may be a waste of time. What motivates innovation: Cash? Not necessarily. Dan Pink provides a great 10 minute animated review of the literature describing the motivating factors for success in the workplace: http://www.youtube.com/watch?v=u6XAPnuFjJc. To grossly paraphrase, cash can be a motivator for rote, very basic tasks. But once a work activity becomes at all intellectually challenging, cash rewards can actually decrease performance. The conclusion of the research is that the role of money is paying people enough so they have their basic needs met. From there forward, motivation is based on autonomy, mastery, and purpose. Many if not most healthcare employees likely have a strong sense of purpose. To get a job as as a clinician-scientist, the doctor or nurse must have some form of mastery already. I wonder if we can tweak the traditional approach to autonomy to bolster innovation within a healthcare institution. The current incentive paradigm is at least in part tied to the extent to which a researcher gets published. When a researcher get's published, it is easier for them to receive more grants, hence get paid more. For clinicians that explore innovation through research, then their autonomy may be fully actualized because the publish-and-get-paid paradigm is aligned with their core interest. But what about the clinicians that aren't interested in basic research and publication? What about the clinician that wants to explore building a service or product that will provide social value? How can we incentivize them to innovate autonomously? I propose that we protect some of the clinician's time to do creative work of their choosing (without having to do clinical work or worry about submitting publications to make ends meet). If a clinician knew that they had 10% of their time protected and paid for, perhaps we could free them to think outside the box and allow them to explore alternative ideas that may be equally or more innovative than their day to day work. Would love to hear if anyone out there has examples of this type of incentive structure that prioritizes and protects a clinicians autonomy for the sake of exploring innovation. Venture capital has a productive model of filtering prospective business ideas through entrepreneurs that are fresh out of the trenches of operating a company. These entrepreneurs-in-residence bridge the disconnect between fledgling companies and investors that may or not remember what it was like to run a company once upon a time. My hypothesis is that healthcare institutions could also benefit from having a clinician-entrepreneur-in-residence who is bilingual in clinical practice and business operations. Such a position could catalyze the evolution of the abundant raw ideas and insights within healthcare institutions into viable commercial products. The objective of such a position would be to channel the highly specialized expertise and unique insights of clinician-researchers and decrease the activation energy needed go from idea to value-generating product or service. I also hypothesize that this role can save time and money in learning whether an idea has commercial and/or social worth. Over the next 3-6 months, I will be assisting a clinician at Boston Children's Hospital to test whether his idea is viable in the marketplace. The clinician has never started a company before. And he has no formal business training. I look forward to reporting the progress and learning from this experiment. Many clinicians like to describe themselves as wearing many hats. It is common that they participate in too many roles, so the hats they wear often don't look very good. When one of the clinician's roles is to transform an idea into a commercially viable product or service (ie company), doctors are often at a loss for where to begin. 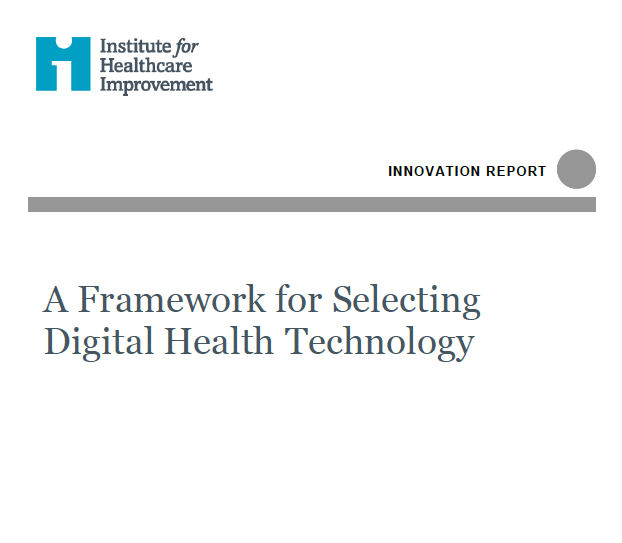 The objective of this blog is to help clinicians build the requisite tools to test whether their idea can provide commercial or social value.